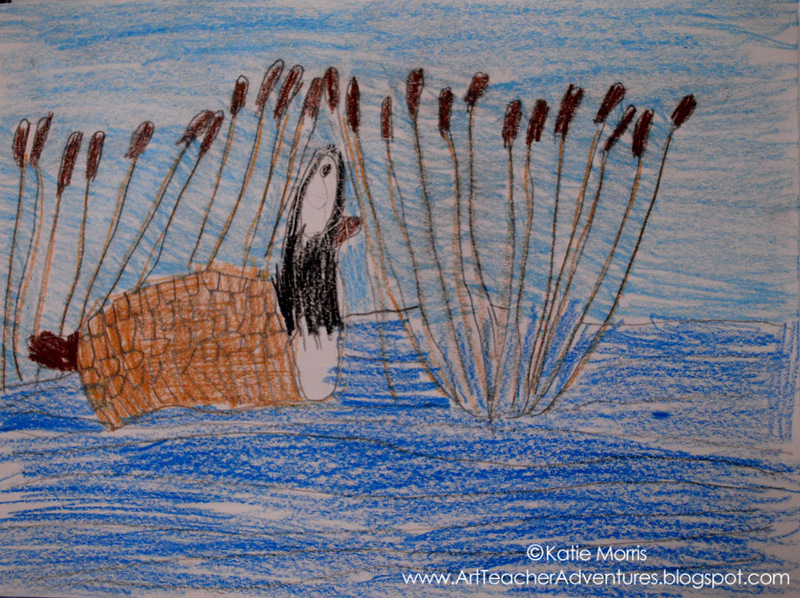 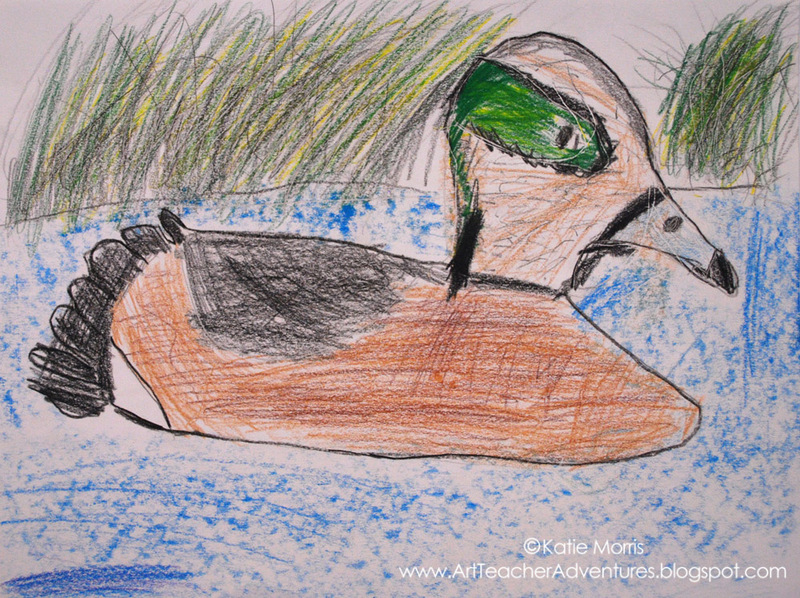 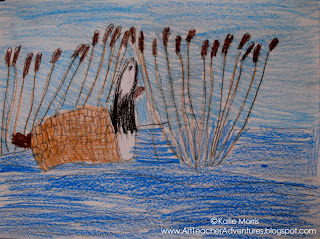 One of my 3rd grade Honorable Mention winners- drawing of an American Wigeon. 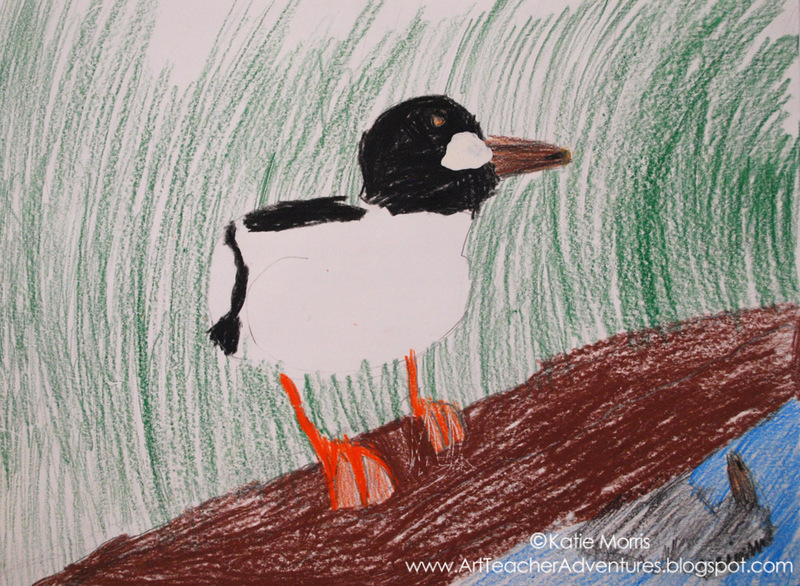 Here you go- some examples of this year's Junior Duck Stamp artwork from my primary students! 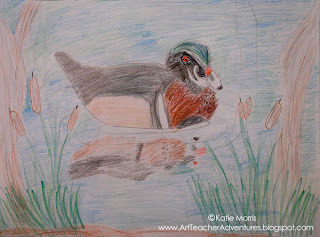 This is a continuation of my last post where I shared examples from the intermediate kids. 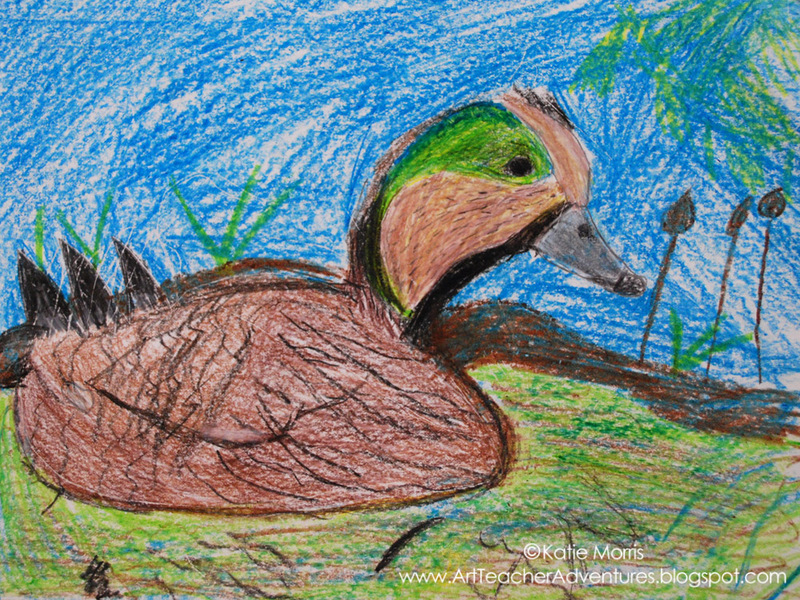 I always consider it a triumph if I can get the little kids to draw big and pay attention to the colors they really see instead of the color of their duck schema. 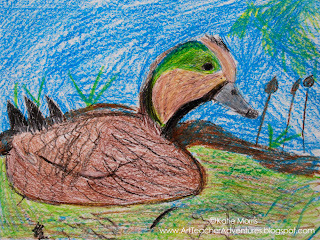 Not every duck has a yellow beak, 'ya know. 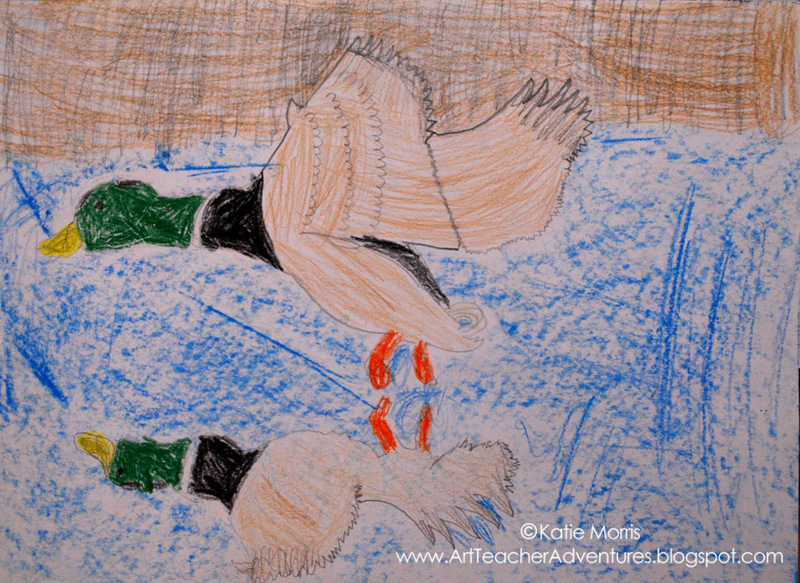 I think this was a record breaking year for students being brave enough to try reflections! 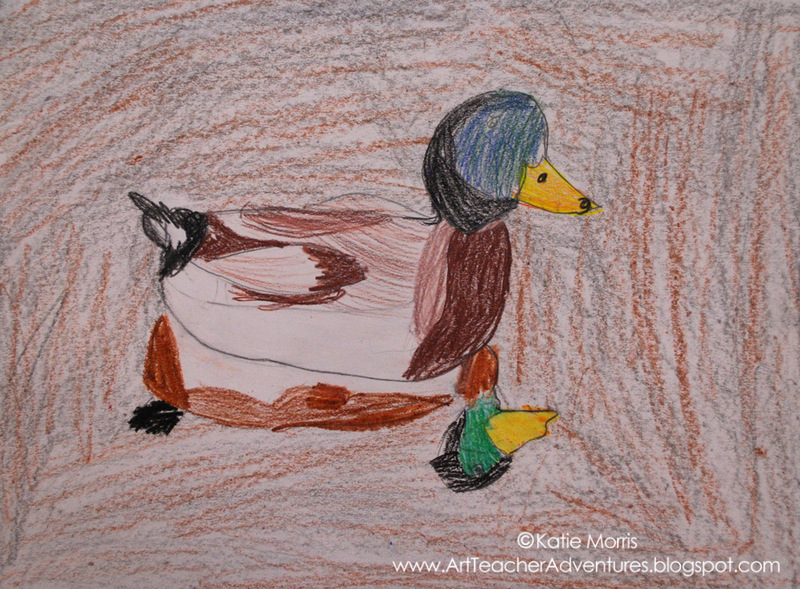 I'm pretty proud of these students.